If you do, do you have images on them or simple name and company logo? Do they really help you with your business? I don't have any business card. I'm only trying to get exposure on the internet. Maybe when I can have that income I'll try using business cards. Color image on front and contact info on back. I give out a 500 a year. This is mine! It's only my logo & name, it doesn't really show my work off or anything, it's mostly just something for people to remember me by. I put it in all the packages I send out or have them at my table for shows I'm in. I used www.printplace.com to get them printed, I got 1000 for only $30, they came out really nice for the price! I know a lot of artists that like to use moo.com to make theirs, they either use normal size business cards or moo cards. They're more expensive but you can design it all on their site using pictures from your Flickr account. For those who are looking for business cards, I'd recommend looking into your local craigslist or kijiji-- lots of local print shops will print cards on the cheap. Also, if you don't have the cash to furnish a double sided card, but don't want the plain look of a white backed card, most printers will do a black backing for a small fee. Also, always ask for a complimentary sample print. You may think everything is the way it aught to be, but a minor change in settings or color calibration can cause a lot of problems-- especially if this is discovered AFTER your 200+ cards have been lovingly printed, cut and packaged. 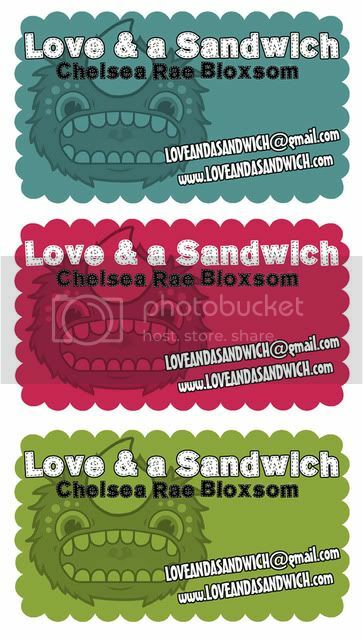 Loveandasandwhich - Those are awesome! Do you find it helps improve call backs or getting you more business? Sanya - Thanks for the advice, I may not have done that because honestly I hadn't thought of it. Having something to give someone when you're telling them about your work is always helpful. Otherwise they'll never remember to go check out your work later. 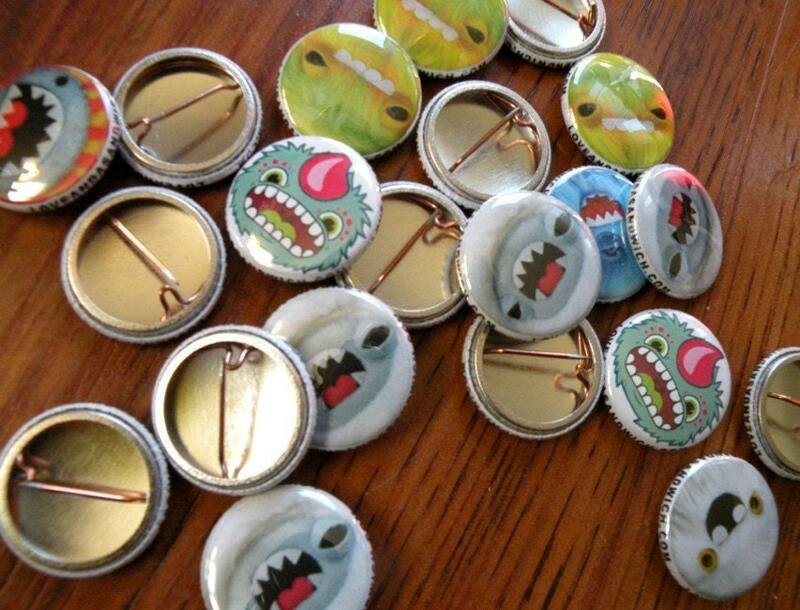 Before I got business cards I had little buttons with crops of pictures of my monsters with my site around the rim, and stickers with my site on it. Those might have been even better for what I do because people actually kept them and put them on their bags or notebooks.